Are bath-times fun in your home? The fun factor has been upped in ours with these products that we recently tried! 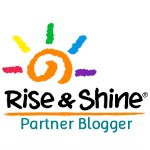 We were contacted by QV via Rise & Shine a couple of weeks ago, after having shared about Bubbles' eczema. Ego Pharmaceuticals gifted us some QV Kids products for Bubbles to try, and they have been such a hit! These products have definitely been designed with kids in mind. Bubbles, who has always used plain-looking packaging of the specialized skin products, was taken by these bottles. Emblazoned with bright colours and pictures of sea creatures, she was immediately interested, and came up to ask to use them! 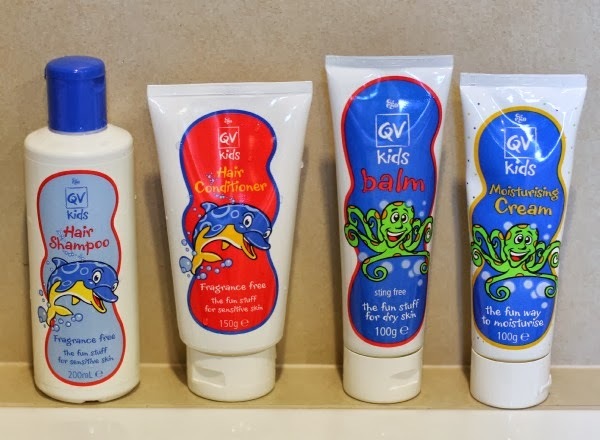 The QV Kids range is made to encourage children to look after their skin, while at the same time being fun to use. Not all kids like applying soap or staying still for cream application (you should see how squirmy they can get! 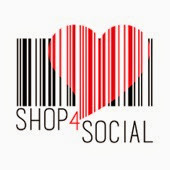 ), so having products that they enjoy do help lead to better compliance and therefore improvement of skin quality. The fun factor for kids does not end at the attractive packaging. Little blue, green and yellow balls can be found in the Body Wash and the Moisturizing Cream! Both my kids love looking at and for them! These readily dissolve with no abrasion to the skin. It is unlike regular scrubs that we might be used to, where too much pressure during use could hurt the skin. We had trouble finding shampoos that suit Bubbles, and have been using anti-cradle cap formulas. I'm really glad that the QV Kids Shampoo and Conditioner have worked well for her! The shampoo has been formulated to have minimal eye irritant, and the conditioner contains pro-vitamin B5 to provide anti-itch benefits. She particularly likes how silky smooth her hair gets after using the conditioner. A treat! Finally, the QV Kids Balm is a highly emollient moisturizing balm. Unless your child has severely dry skin, or a eczema condition like Bubbles, it is unlikely that you need this. The Moisturizing Cream will be sufficient for regular use. Bubbles sometimes gets cracked skin patches that are extremely dry. This is where the balm works. It is thankfully water free to avoid the stinging sensation on application. 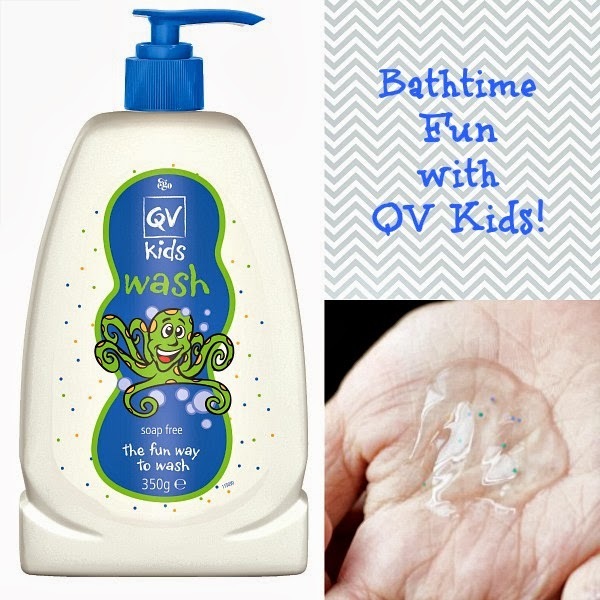 QV Kids is truly the fun stuff for dry and sensitive skin! The range is soap, fragrance and lanolin free - a gentle, cleansing and moisturizing range for all kids. 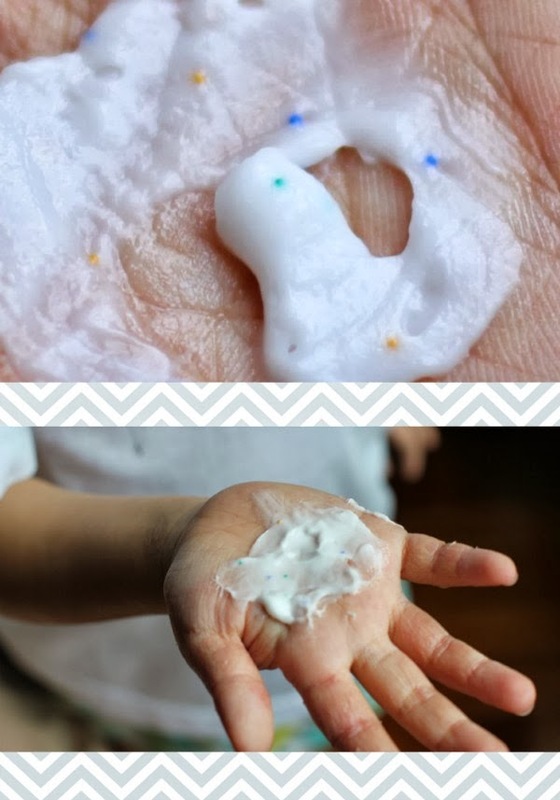 Your kids don't need to have eczema to enjoy these products! Get them at leading pharmacies. oh great, i shall try these for teanne. her eczema flare up again. SIGH! Let me know if you want contacts of the doctors we have seen! I know! Super duper fun! I am your long term silent reader. I happen to come across this post on FB about Black Soap and Eczema, thot it might be useful for you. Thanks so much for sharing! I really appreciate it. 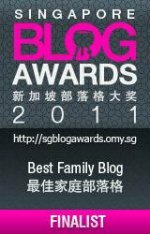 Will check it out!